It has been a very interesting few days here in Chicago. Been working on an assignment in the Windy City since Thursday and have covered a lot of stuff. Got a few more days before I venture back home. 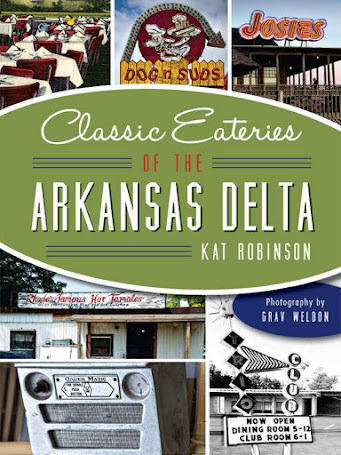 I've especially been seeking out cool places to eat that aren't on the big lists but which fans and friends deem tasty. If you'd like to see some of said eats, check out this album on my Facebook fan page. See you Tuesday. Kansas City Transplant Brings Fine Dining To Bentonville. Kansas City’s loss is Bentonville’s gain. Four star restaurant chef Al Rubaie has opened up Rubaie’s Café on the south end of the shopping center at Walton and Macy. Now Rubaie is offering up splendid dishes made from scratch to diners for lunch and dinner. Rubaie spent 30 years in the restaurant business. One of his restaurants in Kansas City made Esquire Magazine’s list of the Top 100 New Restaurants in America back in 1982. He came to Bentonville two years ago at the insistence of family and friends and opened up shop. He didn’t come alone. 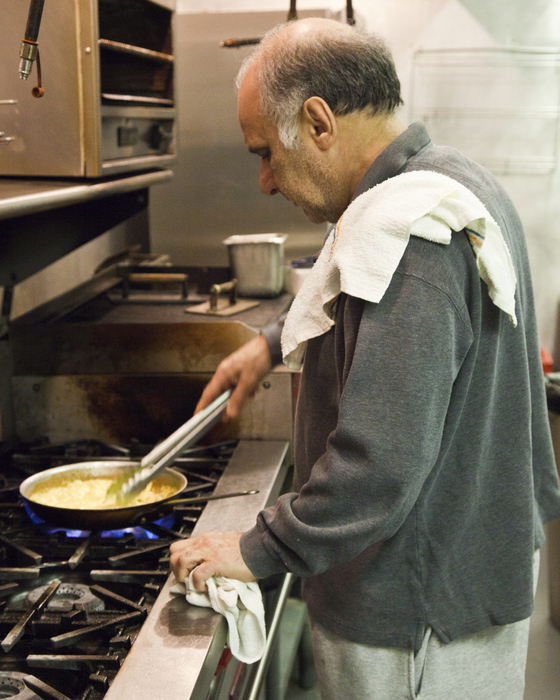 His son, Al Junior, works alongside him in the kitchen. That’s what we found when we went back into the kitchen. Everything was impeccably clean and put away when we arrived, yet moments later Rubaie was already cooking, pulling out fresh ingredients from cabinets and refrigerators and creating his dishes from scratch. As we watched he created Salmon with Lobster Sauce, gently cooking the salmon to the perfect doneness. 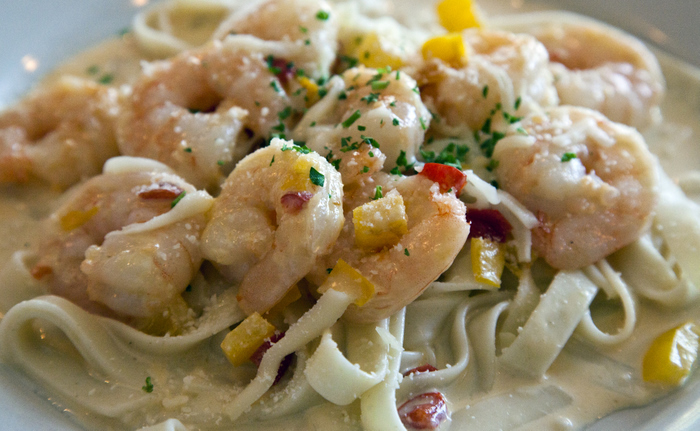 He whipped up a homemade Fettuccini sauce and added shrimp, tossed some noodles in and finished off the dish. At the same time he managed to flame a ribeye steak to perfection, adding in an herb sauce at the critical moment. There’s no question Al Rubaie is a comfortable genius in the kitchen. 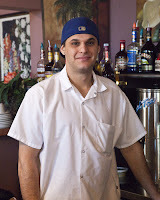 His concept is simple -- good European food served at accessible prices, all made from scratch when it’s ordered. 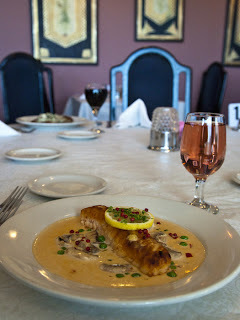 There are influences of Greek, Italian and French echoed throughout the menu -- which features such dishes as Lobster Tail Thermidor; a charbroiled lamb chop with French gravy, almond and cilantro; and a fabulous Rib Eye Garlic served with fresh herbs, garlic sauce and mushrooms. Dinners like this in a big city would run you around $50 a person, but you can feed two for that for dinner here. Lunch is even more accessible, with everything on the menu under $10. About his son, Rubaie says “he’s a good kid. Wants to be a restaurant man.” The younger Rubaie is in the kitchen rather than the classroom, learning the tricks of the trade from his dad. Rubaie’s Café has a full liquor license, making it one place you can get just about anything you want to drink with your meal. 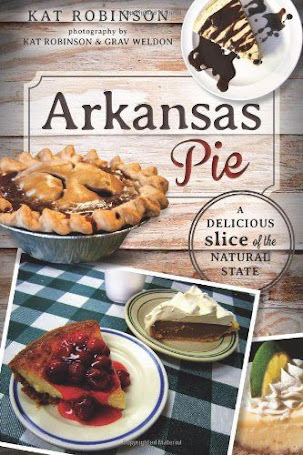 You can find Rubaie’s Café on South Walton Boulevard at Rainbow Curve, 3404 SE Macy Road Suite 20 in Bentonville. (479) 271-7858. The restaurant is open for lunch Tuesday-Friday 11 a.m.-2 p.m. and for dinner Monday-Saturday 4:30-9 p.m.
Pieday: Chocolate meringue at Atkinson's Blue Diamond Cafe. 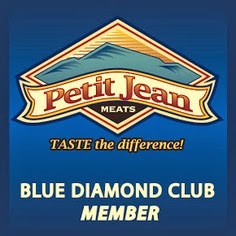 I attended a tour of the Petit Jean Meat headquarters in Morrilton Tuesday and learned that theAtkinson's Blue Diamond Cafe actually borrowed that blue diamond from the old Petit Jean Meat logo. 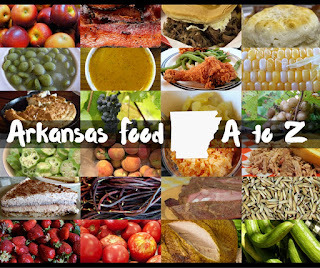 They did have permission, and yes, they do include several of the products there — like Petit Jean Italian Footlongs, BLTs made with Petit Jean bacon — and those magnificent red Petit Jean hot dogs. There’s no doubt that the Cantrell Road drive-in is good. It does fine Greek salads and has a good cheese dip and is doing gyros of all things now. But Arkansas Burger Company's burgers will get you into fights. Heck, the cheese dip will too. My latest addiction… is macarons. I’ve never really had a chance to develop a macaron addition. Frankly, I’ve only had true macarons a few times in my life, because they’re just not available here. Or at least they weren’t, not until Mary Jo Selig and Clare Thomas Williams started up MaryClare Macarons a few months ago. Now, we’re not talking about macaroons, the coconut-heavy cookie popular with the pedestrian set. These are fine macarons made from almonds, egg whites and sugar, flavored with great care and thought and thoroughly irresistible. A good macaron is light like a meringue, with a pleasant filling in-between the two halves. risky. Macarons are so delicate they shatter in the mail. They shatter on that first bite. Heck, they could shatter if you just look at them. Honestly. So they started experimenting with making macarons, Mary Jo and Clare did. They started putting stuff together and came up with MaryClare Macarons in November of last year. It wasn’t until about March of this year though that they really got out there. Today you can order those macarons in so many different flavors — Lemon Tang, Lime Splash, Dulce de Leche Caramel, Obnoxious Chocolate and more. The ladies were very excited about a recent foray out at P. Allen Smith’s place for the Garden to Blog event, where they used macarons in all sorts of applications. Then they were waylaid by a bunch of us food bloggers on a Wednesday mid-morning. They’re doing some of our local wedding shows, too. I’m very interested to see where they go with this. Me? Well, I took home a box of macarons. My daughter immediately claimed all the pink ones — Amaretto and Raspberry Beret alike. My husband took dibs on Chocolate Peanut Butter and anything that even resembled chocolate, leaving me with my favorite so far, Orange Dream. Yes, there’s something lovely and delicate about citrus to begin with, but to create a delicious citrus flavor from almond paste, double it with a second cap and glue them together with something that tastes like a shelf-stable version of pineapple sherbet? Wow. Add in a flavor impact equal to a half a slice of your favorite cake? Mmm. And you know what? They're gluten free. Heck, they can be dairy free if you special order. MaryClare Macarons are usually sold frozen. 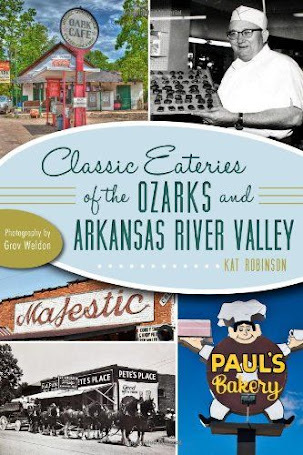 You can pick them up at The Savory Pantry or order them. I do believe they will deliver them… which ensures the likelyhood that you’ll get them intact. Indeed, I was regaled with stories of whole pans of macaron caps that had half disintegrated or fell or shattered. Such is life. Want some? Go check out the website. 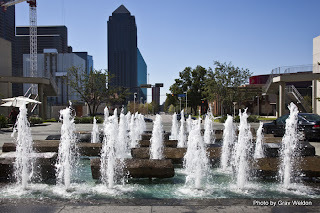 Sweep your sweetheart off her feet and head for the Dallas Arts District. Over the past 30 years, the city has relocated existing art facilities and built new ones along a sweeping path in the northeast corner of the downtown district. 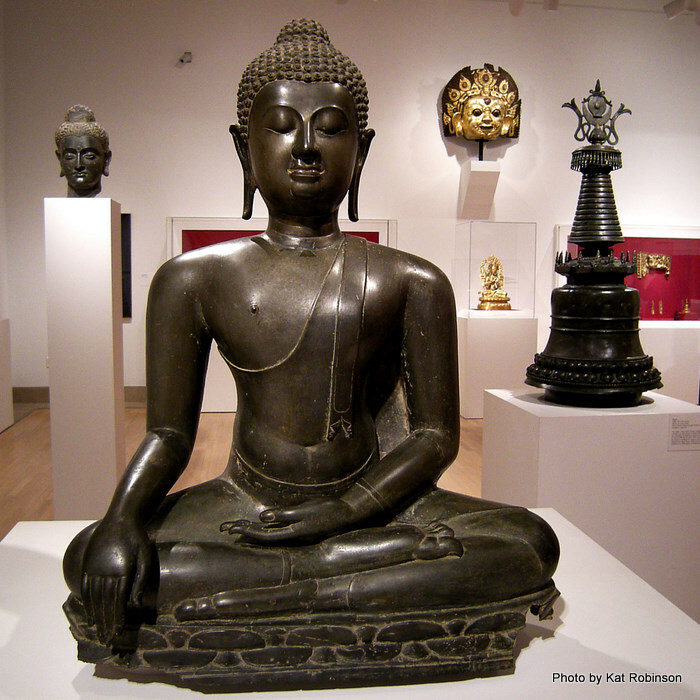 Today you can visit a museum, hear a symphony, enjoy the ballet and dine sumptuously while relaxing at a nearby hotel. Here are suggestions for where you can stay, play and enjoy the area. Share your artistic interests. 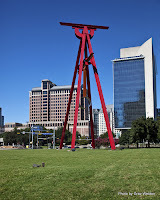 Take her to the Dallas Museum of Art for an afternoon of intellectual sharing. The Asian Art Collection (on permanent display) features items ranging from Gandharan Buddhist works from the second century through elaborate sculptures from India’s Mughal Dynasty through the 19th century. Be sure to check out Art of the American Indians: The Thaw Collection (through September 4th) celebrating the continuing vitality of Native American Art. Does she love dance? You have to check out the Dallas Black Dance Theater. The energy, intensity and power exhibited by the dancers will take your breath away. On the calendar this week: the Spring Celebration, a five day performance spree and grand finale showcasing the best of the theater’s dance this year. 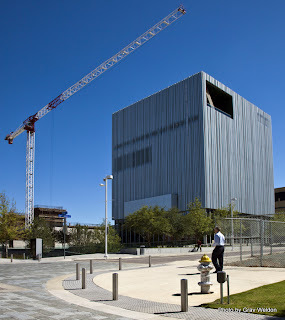 Performances are held at the Wyly Theatre, the world’s only vertical theater, an innovative space that well captures the spirit and motion of the crew. Is music her thing? 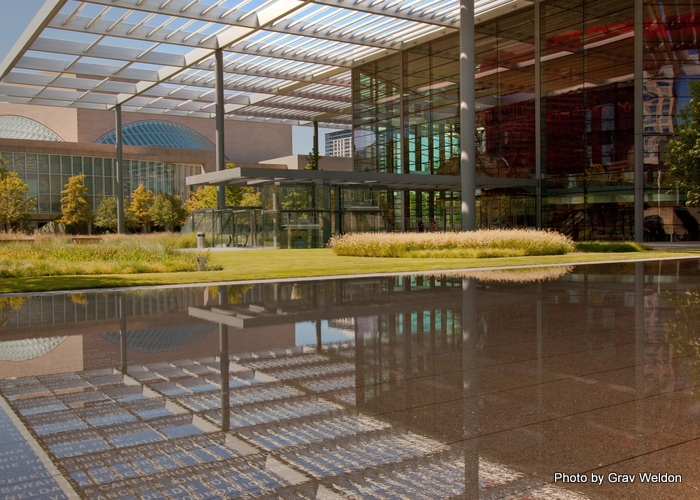 Catch performances at the new Winspear Opera House, a state of the art performance space in the middle of a new 10 acre art park. If she’s a fan of 80s hair bands, take her to see Rock of Ages (May 17-29), a musical featuring the music of REO Speedwagon, Pat Benatar, Styx, Night Ranger and Journey. Or kick back and enjoy one of Broadway’s biggest hits, Billy Elliott the Musical (June 8-July 3), on the stage. More music is right next door. 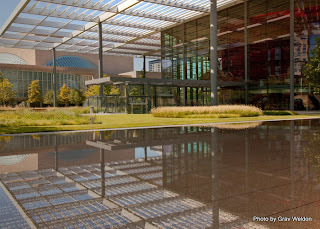 The Meyerson Symphony Center has been named one of the top musical performance halls in the world. 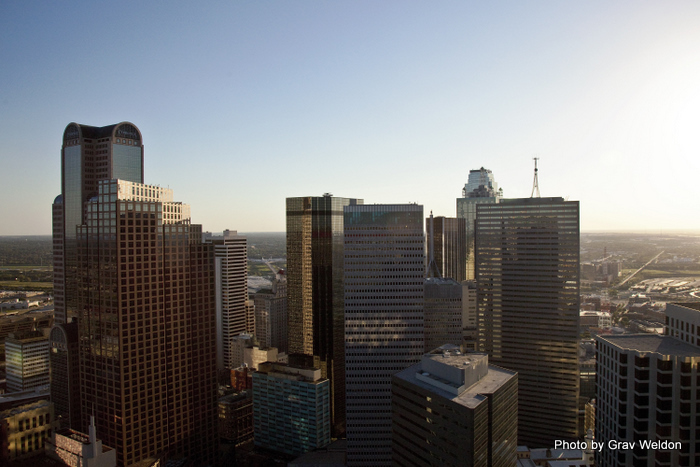 Stroll down Memory Lane with hits from Irving Berlin to Richard Rogers with Marvin Hamlisch (May 27-28) or celebrate the life and music of Cole Porter with the Turtle Creek Chorale (June 23-26) in this beautiful facility. Jorge’s Tex-Mex Café. Jorge’s family has been doing the Tex-Mex thing since 1957; the Arts District café opened in 2008. 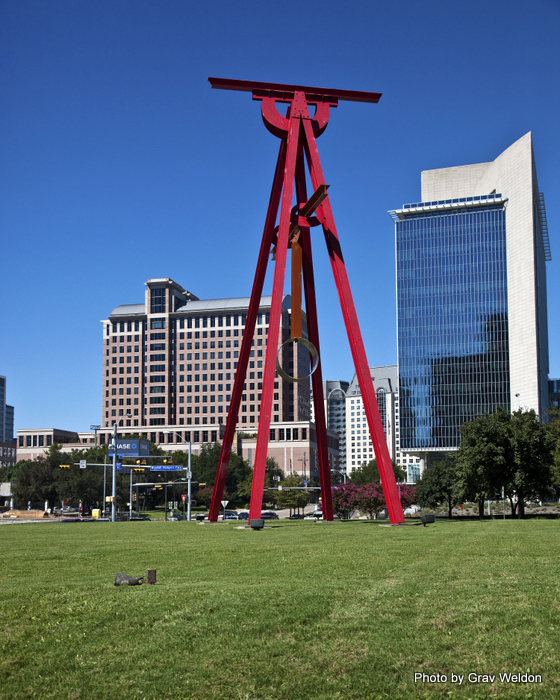 Often filled with show goers and art fanatics, the comfortable space at One Arts Plaza offers indoor or outdoor dining on favorites such as Lala’s Brisket Tacos, West Tex-Mex Ribs, incredible Veggie Enchiladas, Pork Shanks and a delightfully light Ceviche of Mahi Mahi and avocado. The queso is a peppery salute to good cheese -- have yours with the ground beef. Stephan Pyle’s. If you really want to impress the one you love best, take her for dinner at one of the swankiest restaurants in Dallas. Under custom lights and décor and groovy downtempo and European beats, enjoy New Millenium Southwest Cuisine. Every meal is a work of art. You’d be hard-pressed to find another place that serves Pulled Spit-Roasted Suckling Pig with Apples, Cardamom, and Mint or a whole fish baked and then roasted with vanilla and fennel. 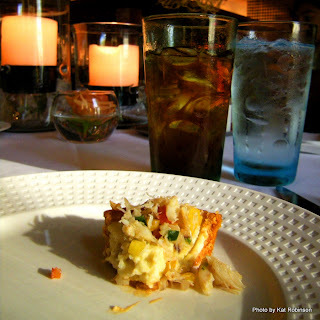 The Tamale Tart with Roast Garlic Custard and Jumbo Lump Crabmeat is so good you’ll get teary-eyed. Reservations highly recommended. Stay close. 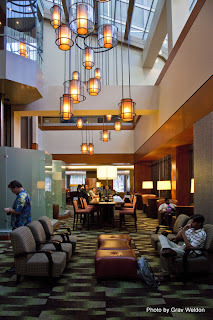 When I am in the area I like the Sheraton Dallas Hotel. It’s the largest hotel in the state of Texas, which means it has some things you won’t find at smaller hotels. The rooms are spacious and spread out over three towers. There are facilities for getting online and working out, and some rather decent dining options to boot. Kick back and relax on one of the hotel’s custom beds or go relax in a cabana after a soak in a rooftop pool. If your sweetheart is more interested in you than art, you’re in the right place. Choose in-room dining or get your shoes on and head down to The Kitchen Table. 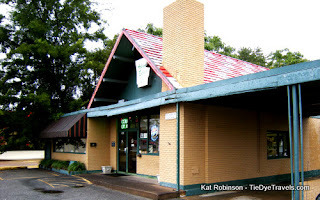 This American favorites restaurant serves up some of the most amazing macaroni and cheese you’ll find in the state, along with Coffee Rubbed Short Ribs, Chicken Fried Pot Roast and Blackened Shrimp on Grits. If you’re up later than usual and want to share some fun, hang out in Draft Media Sports Lounge. Not just for sports fans, the space includes interactive video game options, pool tables and two karaoke lounges. The fare embraces pub favorites such as pizza on flatbread, slider burgers and the largest pile of nachos you’ve ever consumed. Other dining options include breakfast pastries, coffee and such at Peet’s and afternoon sweets and cool treats at Chill. There’s a time and a place for fancy foods, for upscale dining, steak, seafood, sushi and sauerbraten. There are business lunches, anniversary dinners, celebratory suppers and the occasional working breakfast. David Family Restaurant does none of these. It doesn’t have to. It’s comfort food central south of downtown, a downhome friendly place where there’s too much sugar in the peas and tea and too much grease in the chicken. And that’s all right. It’s soul food, cheap and tasty. There are plenty of breakfast items for those who care to venture out at 6 a.m. or later — pancakes and omelettes and lots of bacon and ham. For lunch, the menu changes daily. The day I went, the lunch entrée choices were fried chicken (dark $6.25, white $6.49 or two breasts $7.49), fried pork chops ($7.49 for two, $6.45 for one), beef oxtails for $11.50 (which I was sore tempted to get), meatloaf with red sauce ($6.99) and smothered pork chops ($6.49). Each entrée comes with two sides and your choice of cornbread or roll. I got the sweet peas and yams; other choices were cabbage, mac and cheese, black eyed peas and mashed potatoes. You order up front with a tray (or ask for a to-go box) and pay. 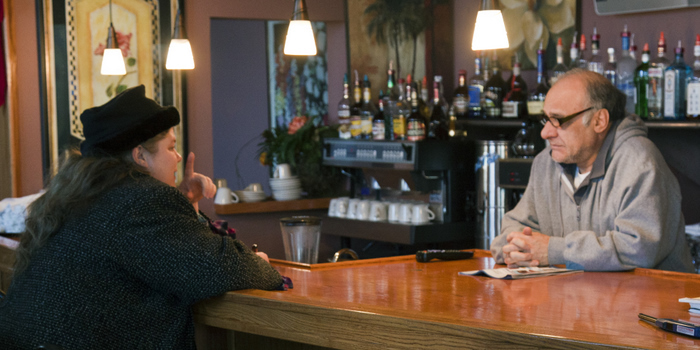 A gentleman will serve up your beverage at the far end of the counter and you find yourself a seat. I noticed right away this strangeness — each table with a black gold-printed label. I actually asked my Facebook fans about this and was told it’s an old wait service thing, something to identify tables. Neat. juicy in both leg and thigh, with a crispy salt-and-pepper buttermilk-type batter on the outside. The chicken portions were larger than I expected — a big manly chicken leg like that is a pretty decent amount of meat. The meat hadn’t picked up much seasoning but the battering compensated. 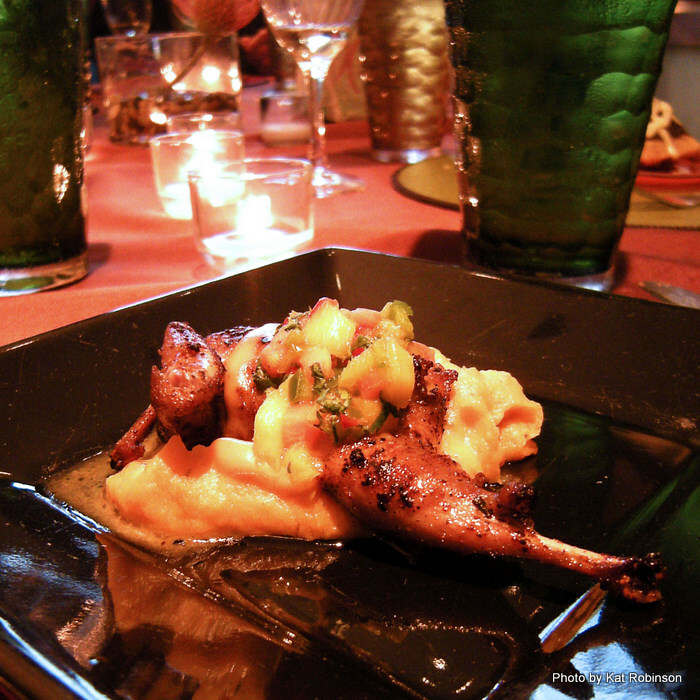 I had expected the yams to be sweet and they were — almost candy-like in their orange blush of goodness. What I hadn’t expected were the sweetness of the sweet peas. Sweet peas are by definition sweet. These had obviously been doctored up with more sugar and some butter — I’m not complaining, it was just rather unexpected. What I really liked, though, was the big fluffy house roll. I’d asked when I went through the line whether I should choose a roll or cornbread and the lady on the other side told me she never ate the cornbread no-how. The roll was flaky and tall and soaked up a bit more of that chicken grease that if I had been wise and more health conscious I woulda left on the plate. Then again, if I had been health-conscious would I have been eating fried chicken with sweet-sweet peas? It was more food than I could finish. It was filling and full of care, and I waddled out of there without finishing my yams. Cost me $10 with the tip I left on the table. Not bad. David Family Kitchen is open for breakfast and lunch every day except Saturday. You’ll find it at 2301 Broadway, a couple of blocks north of Roosevelt. (501) 371-0141. Little Rock has good sushi places, a lot of them. It has some halfway decent buffets. And there are some buffets where you’ll find sushi. Just about every buffet that features sushi — is at a Chinese restaurant. For those who have really been looking forward to gorging themselves on Japanese food, there’s great news. Tokyo House caters to folks who like sushi in large amounts — and who might want a little yakisoba or shumai, too. Japanese grilled and tempura-heavy buffet down in the back. In fact, on my first visit I noticed two of my dining companions completely failed to notice the second buffet tucked away in the back. I smelled it… roasted meats, seafood items and the lure of dumplings pulled me back to the back to check things out there, too. Not to say that just sushi wouldn’t draw people in. I know folks who have been going to Panda Garden since it opened in 2008 who have likely never eaten from the hot tables, preferring instead to knosh on California and Philly Rolls and the occasional Volcano roll and a few hand-formed fish-topped nigiri amidst the maki. but Spicy Mama, Green River, Rainbow and Redhead Rolls. A dozen or more varieties line the two sides. There are also clean, neat nigiri of crabstick, shrimp, mackeral, tuna, salmon and squid; special stands hold temaki cones full of fish and rice and vegetables; gunkanmaki pockets topped with roe. It’s an excellent selection. and shrimp, yakisoba noodles with red onions. There was hibachi steak with broccoli, crab cakes, something called Honey Moon and a Dynamite Roll sliced and deep fried. There were piles of tempura-battered shrimp, tempura battered vegetables and little clams cooked with jalapeno slices. There were spring rolls. There were soups. Along the shortest wall there were dessert items such as mango, red bean and coconut puddings; fresh fruit and small slices of cake. Did I mention this was the lunch buffet? So, how was it? It was fantastically good. I didn’t encounter anything I outright didn’t like (though I couldn’t make it through an entire portion of red bean pudding after an initial visit to both bars). My three dining companions were all quite pleased with themselves. What did strike me was the service. We went the second day the restaurant was open — and the service was incredible. Our waiter was very attentive, and other members of the staff would come by and ask if we were pleased with our selections. There were gentlemen in the hot buffet area answering questions, and the sushi chef on duty happily filled requests. And when we were coming to the end of our meal, our waiter asked us if we would like ice cream — chocolate, vanilla, strawberry or green tea. It was hand-dipped and it was in just the right portion. So yes, on my first visit I was thrilled with Tokyo House. I am planning to go back and see what’s for dinner, though — because the place advertises itself as a sushi and seafood joint, and while there were seafood items on the buffet I suspect there’s far more seafood at night. Besides, some restaurants do their lunch and evening buffets in completely different manners. Lunch is $9.95. Dinner is $18.95. Drinks aren’t included in the price — do be prepared for that. There are also a selection of maki rolls you can order ranging up to $14. 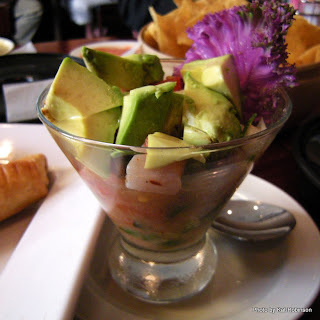 If they’re anything like what you see on the menu, they’re artistic delights. Still, considering all the neat rolls they already offer on the buffet, I can’t imagine why you’d order more — unless you just really want to impress someone. Tokyo House is on Shackleford Drive across from Cozymel’s. It’s open seven days a week at 11 a.m. Lunch buffet runs until 3:30 and dinner buffet begins at 5 p.m. It wraps up at 8:30 Sunday through Thursday and 9:30 Friday and Saturday… the restaurant closes a bit after that. (501) 219-4286. John Beachboard met me this morning to take a look at the location for the newest Beachboard-McGehee concept, Big Orange. 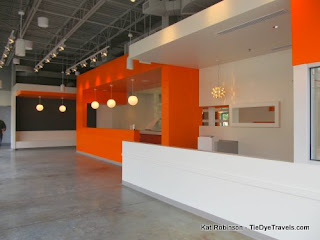 The new facility across from Bravo Cucina Italiana in the Promenade at Chenal is, well, orange.